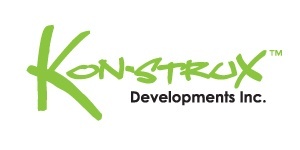 Kon-strux is a full-service residential Design/Build renovation company headquartered in Calgary, Alberta. Kon-strux offers a complete array of Design/Build services including interior design and construction project management services. Whether designing a kitchen, an addition, a basement or a whole-house renovation, Kon-strux can assist you with all phases of the Design/Build renovation process. Trust our experience and track record to guide you through the task of turning your home dream into a reality. Mention the Jencor Preferred Partner Program and receive 25% OFF our pre-contract agreement and a FREE 2 HOUR design consultation and a SPECIAL HOURLY RATE with Nichola Clare Designs. 2009 – “Emerging Entrepreneur of the Year” as awarded by the Calgary Chamber of Commerce. Across All Business Sectors.